August 16th in Wordpress Plugins by Wordpress Jedi . TPC! 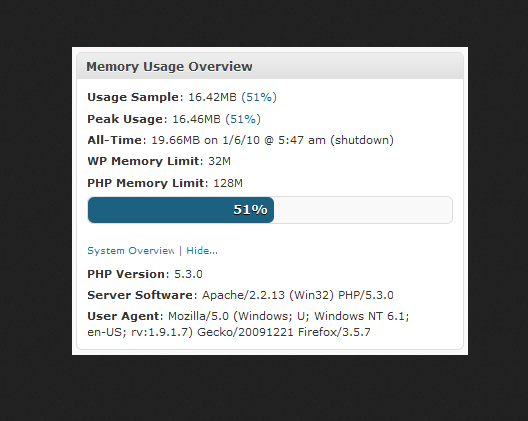 Memory Usage: helps you keep track of memory usage on your site. It shows peak and current memory usage and logs highest memory usage. It can also send you an email if memory usage reaches the specified threshold. 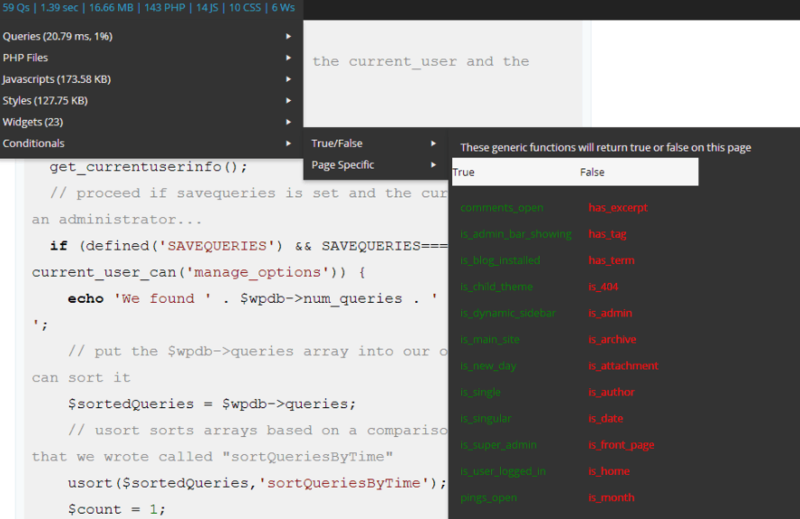 WP System Health: provides you with a dashboard widget that shows system, PHP, WordPress, database, and other useful information. Helps you get a better idea how well you are doing. Dev Monitor: adds SQL query, memory usage, execution time, and other information to your admin bar. Only people with the appropriate permissions will be able to see the information. Server IP & Memory Usage Display: shows your memory limit, usage, and IP address in the admin footer. If your memory usage is over 90%, the number will be shown in red. There are other ways to keep up with your server performance. 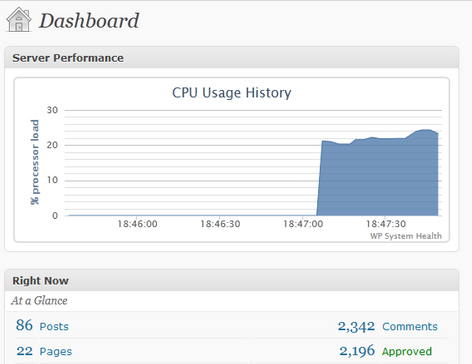 In fact, many web hosts have their own dashboards, so webmasters can get this information quickly. You could also run commands manually to track processes and memory usage (e.g. free and top commands). The above plugins simply save you time when you need to track how well your site is doing as far as system resources go.